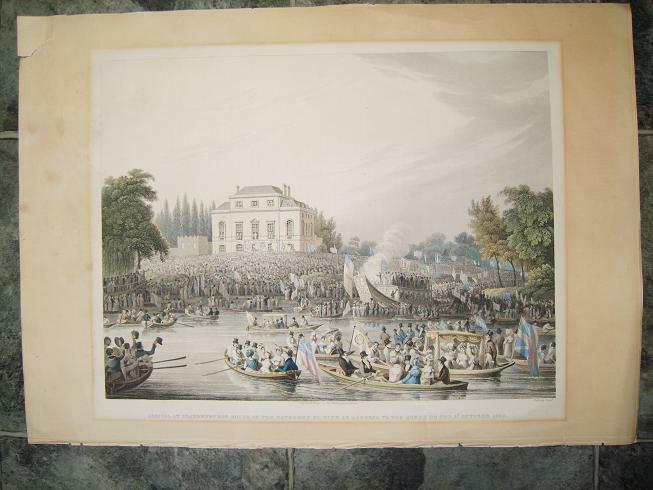 A very colourful engraving entitled, “Arrival at Brandenburgh House of the Watermen with an Address to the Queen (Caroline). 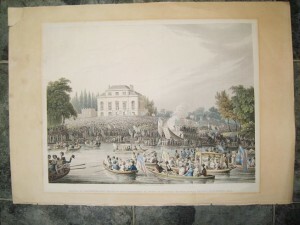 Picture condition is good but has browning to the edges of the margin and one small tear to the top left of the margin and one at the centre bottom of the margin going slightly into the picture, the price reflects this damage. (click on picture to enlarge image) Please see payment options. 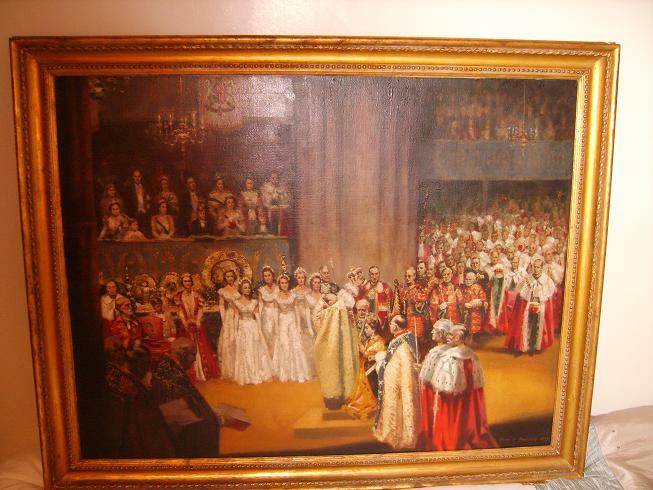 A fabulous Royalty painting to celebrate the Queen’s Diamond Coronation Jubilee, an Oil on canvas painted by the artist Oliver G. Brabbins in 1953. It shows lots of detail and some recognizable faces. See other entry for this painting on this site for more information and payment, or Tel: 07988506321 Click on picture for larger image. 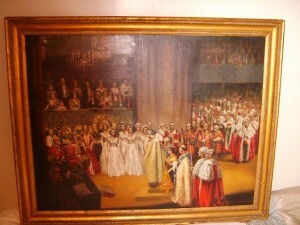 Oliver Gilmore Brabbins, 1953 Royal Coronation Oil on canvas in a nice gilt frame. The painting shows lot’s of detail and some recognisable faces, with the then Archbishop of Canterbury, Dr. Geoffrey Fisher about to place the St. Edwards Crown on the Queens head. 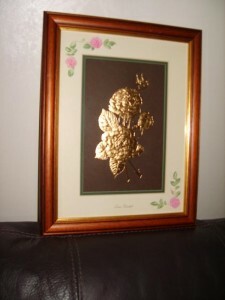 Signed and dated in the right hand corner, size is approx. 75cm. h. x 97cm.w. This is an important moment of 20th century history caught in wonderful detail on canvas and represents a good investment at this price. (Click on photo for larger image) Please see payment options.